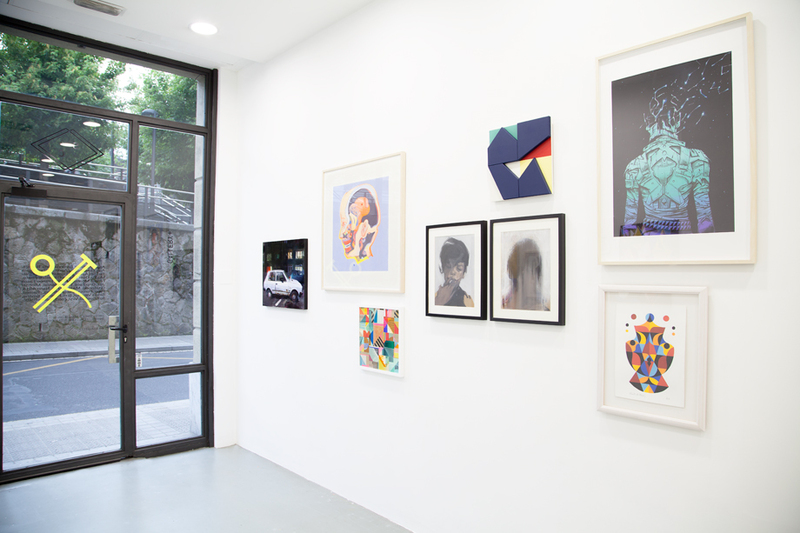 SC Gallery + Art Management, located in calle Cortes in Bilbao’s old quarter (Bilbao La Vieja), opened its doors to the public for the first time in April 2008 and it has an exhibition space for the promotion of internationally renowned contemporary artists. SC Gallery is an independent endeavor specializing in contemporary artists from the street art, graffiti, illustration and graphic design scenes. Some of the artists represented by SC Gallery are Sixe Paredes, Eltono, Sebas Velasco, Isaac Cordal, Boris Hoppek, Daniel Muñoz, Grip Face, Andrea Btoy, Suso33, Anna Taratiel, SpY, Mikel del Rio, Zoersism, Michael Gruziecki. They have also collaborate with artists as Smithe, Franco Fasoli, Ana Barriga, Felipe Pantone, Paco Pomet, Nano4814, Aryz, among others. SC Gallery promotes public art projects such as “Deambular” (“Wandering around”) by Eltono and “Pirámide” (“Pyramid”) by SpY at the Basque Museum-Center of Contemporary Art Artium (in Vitoria). SC gallery also fosters the series of murals in the BLV Art festival (Artists: Aryz, Michael Gruziecki, Sixe Paredes, Eltono, Suso33). These initiatives are widely acclaimed by the public and the specialized media.